It’s been nine days since we celebrated our Model S First Year Anniversary. 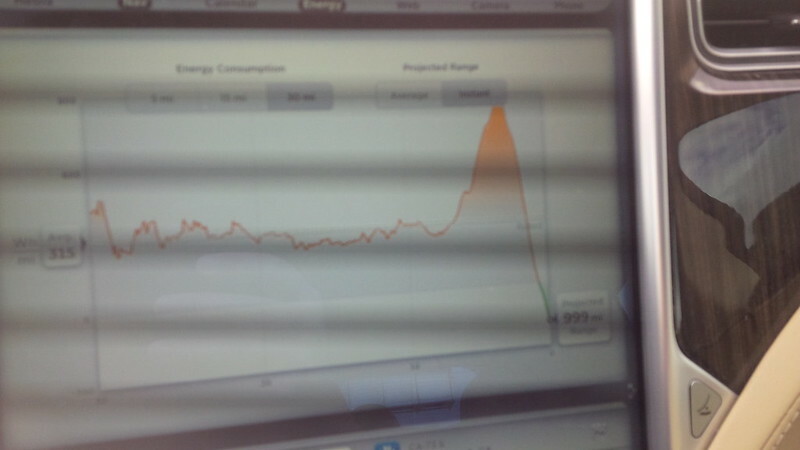 With the Active E, we would’ve been in for five service calls at this point, the Model S has a more generous 12,500 or annually service plan. I try to time these appointments to be “on the dot”. This was a lot easier with the Active E, however, with the Model S, Tesla comes out to the office to pick up my car for the service, so I get it close and let the valet drive the car to the Service Center. What is involved with the 25,000 mile (or two year service). Apparently more than the 12,500 mile/one year service. Tesla picked up the car earlier today. When I scheduled the appointment, I was advised that more things are done on the 25,000 mile than the 12,500 mile service, so I was prepared for the possibility that our car would spend the night at the Service Center. Aside from this normal service, I had a weird sound happen with the car about four to six weeks ago that I felt I can wait for the 25,000 mile service to have it taken care of. Apparently, it’s a good thing that the car has an “unlimited” mile warranty on the drive train. Apparently the noise that I noticed in the car was a drive train error that requires Tesla to swap out the drive train and was given a late tomorrow estimate. I have an early dinner scheduled that may push the delivery of our Model S back another day, but it’s interesting to hear that Tesla chose to replace the drive train. I hope to get more information when our Model S is returned to us. It’s impressive to have Tesla make such a major component repair be approximately 24 hours for the work. I remember when similar challenges were occurring with the Active E community that many Electronauts had to wait a week or longer. This repair just makes me think of things that Tesla doesn’t cover… Like a battery degradation warranty? Let’s get that going Tesla! 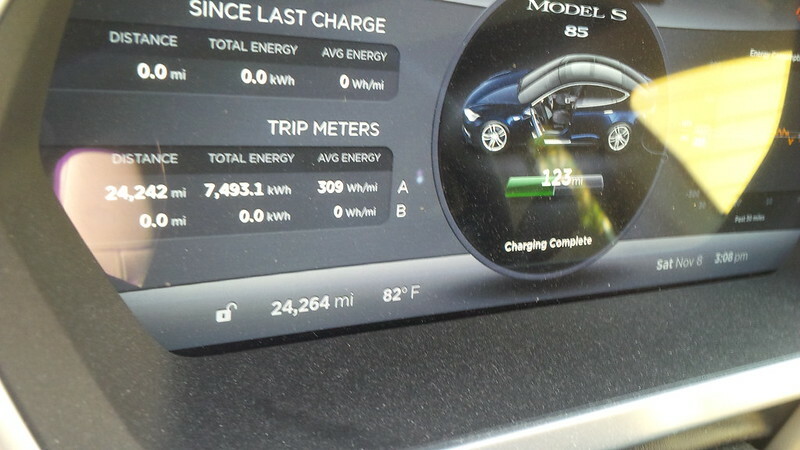 On another note… How do you get across the country without charging? Need to go downhill all the way… 999 Mile estimate? It’s kind of a cool graphic. 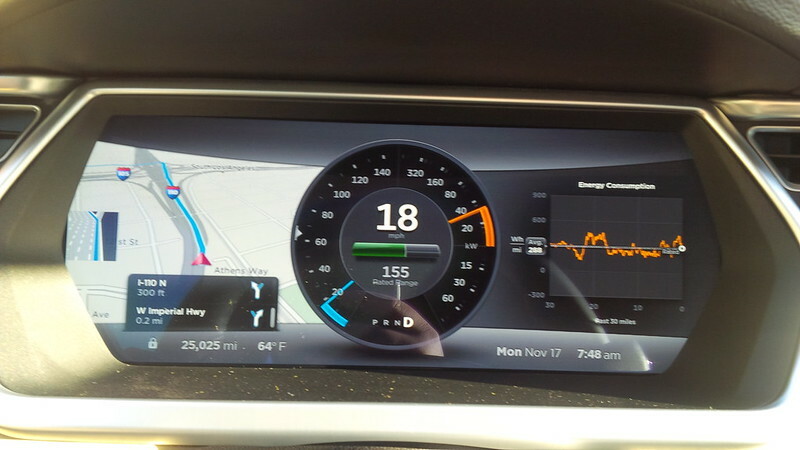 A year and about thirty minutes ago we picked up our Model S.
In that time, we’ve amassed 24,264 miles on the Model S. Less than we did with the Active E, but considering we’ve had our Roadster for about 14.25 months, we also got about 11,379 miles on the Roadster, that’s really a greater total of EV miles than we did after our first Active E year. I’ll sit and think about it later. But for now!